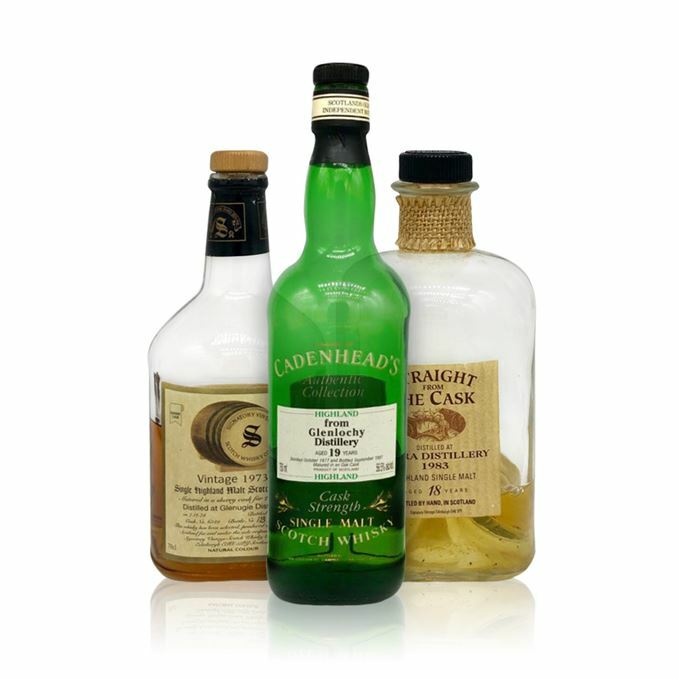 For this week’s rare whisky tasting, Angus MacRaild returns to closed distilleries. The line-up features three names with differing degrees of cultism attached, but all united by the fact that stocks of each are pretty much exhausted in Scotland’s warehouses. 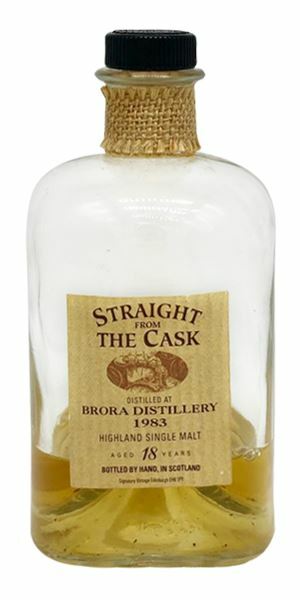 First up is a 1983 Brora, bottled at 18 years of age in 2001 by Signatory for French importer La Maison Du Whisky. MacRaild notes that while this was dismissed upon release, as were a number of early ‘80s Broras, it is worthy of reappraisal today. He finds it a beautiful and very ‘Clynelish-ey’ example of the make. 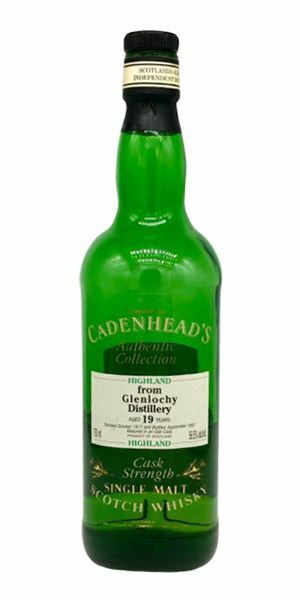 Less classical is the 19-year-old Glenlochy distilled in 1977, the bottling created by Cadenhead for the US. A faint chemical trace and some rather unlikely flavours leave MacRaild somewhat puzzled, but still enjoying the whisky’s overall intellectual playfulness. 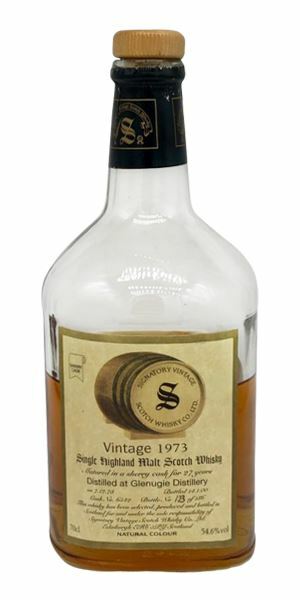 Towering over the tasting this week though is the Glenugie 27-year-old by Signatory, distilled in 1973. Matured in a Sherry cask, MacRaild finds this an elegant, tropical fruit-heavy and richly satisfying example of this sadly long-lost distillery. A perfect example of why it’s a name for which many old-school whisky enthusiasts hold profound affection. Like so many early ‘80s Broras, this is rather Clynelish-ey. Lots of flinty minerals, chalk, limestone and wax, with a broad coastal freshness keeping everything lively. Rather peppery with hints of salted honey and things like pollen and white flowers. Perhaps a dollop of porridge as well. With water it’s all citronella, beach pebbles, putty, green tea and dried mint leaf. A nice, easy, waxed canvas note running throughout. A rather big and emphatic waxiness. Crayons, clay, soot, salty porridge, sandalwood, dried seaweed and miso broth. More wildflowers and some drier herbal inflections. Water brings out a rather lovely salty mead character. Lots of preserved lemon, crushed seashells, newspaper ash, lime peel and a touch of paraffin. Long, oily and slightly gentler now, all on coastal freshness, softer waxes and gentle herbal notes. This bottling came out at a time when people were looking rather unfavourably upon latter-era Broras in comparison to their earlier, peatier siblings. However, from a slightly revisionist standpoint, this is fantastic whisky by any measure. Found wandering lost and confused on Dornoch beach wearing only a tinfoil hat and some red trousers, with no memory of the past five years. A prickle of hot plastic at first. Also things like putty, mid-proving dough, carbon paper, old inkwells, bath salts and laundered fabric. A very strange one that also displays odd notes of milky porridge, mint-infused oatcakes and something ever so slightly chemical. Water brings a slight acridity, but also nicer notes of crisp cereals, hessian and lemon peel. A rather concrete austerity as well. This artificial thing continues with milky breakfast cereals, plasticine, lemon sherbet, Sherry vinegar (definitely something slightly acetic about this one) and burning marshmallows. There’s some of Glenlochy’s typical waxiness but it’s mixed in with things like air freshener and electronic cigarette vapour. With water it gets more classical and develops a mineral and gently olive oily profile. More soot, more floral and more cereal. Medium in length and full of white pepper, olive oil, hints of cardboard and salty, buttery porridge. Very tough to know what to make of this one. It certainly isn’t a classic Glenlochy in my book, but nor is it a ‘bad’ whisky either. While it certainly has its unlikely sides, it also has a fair amount of intellectual charm and fun. One to natter over with pals. Pausing a light sabre duel with Sith Lord Jacob Rees-Mogg to guzzle a brief restorative. Immediately Glenugie’s plush and easy fruitiness strikes. A big luscious wave of mango, guava, melon, pineapple, green banana and apple. Beyond that there’s golden syrup, heather honey, supple waxes, tiger balm and light notes of herbal medicines. Simple but totally superb. With water it’s all on furniture polish, sunflower oil, beach pebbles, pine resin and cough medicine. Some orange bitters and chamomile tea as well. Brilliant delivery. Thick and waxy, nervously resinous and spicy, then abundantly fruity with passion fruit, mango, pineapple and papaya. The wood lends a peppery edge. There’s also blood orange, dried lemon thyme, canvas, linseed oil and coconut. A salty, rancio edge rises in the background. Brilliant whisky. Water magnifies the oils and the spicier, more resinous aspects. Things like waxed canvas, boot polish and beeswax emerge. Still plenty of coconut, but also sultanas, banana bread and fruit loaf now as well. Long, juicy, waxy, full of tropical and green fruits, lightly mineral, oily and herbal. Superlative stuff. There’s a good reason people fall in love with Glenugie. This is another textbook example of its brilliance. Getting chucked out of a Highland ceilidh for insisting on doing a particularly euphoric dance rendition of La Macarena in place of the Gay Gordons. Rare Batch 58 13/02/2019 A ‘gutsy’ ‘90s Sherried Bowmore, alongside textbook examples of ‘70s Bruichladdich and Caol Ila. Rare Batch 56 16/01/2019 A trio of 1960s and ‘70s Signatory malts from Campeltown, Islay and the Highlands.